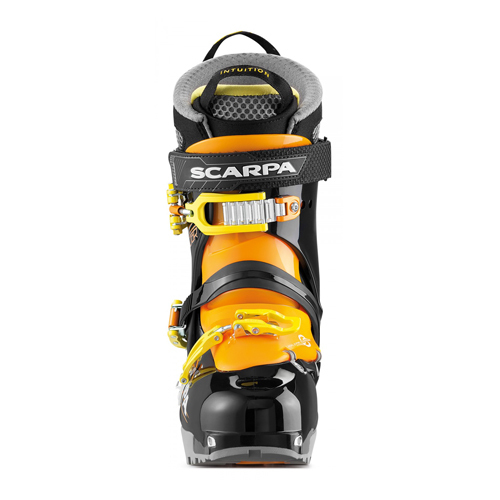 VECTOR is the three-buckles model of SCARPA® collection for people approaching the ski touring discipline. The shell and cuff are made of Pebax® a material that guarantees a great mix between lightness for the uphill and optimum performance for the downhill. 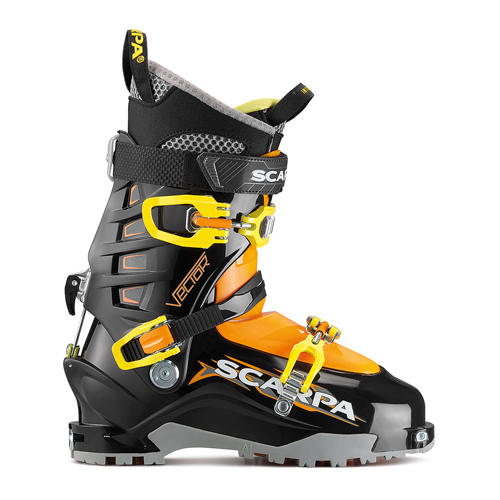 The Axial Alpine Technology enhances precision and stability and allows a correct impulse transmission to the ski, even on steep slopes and increases the sensitivity on the middle foot-area. It features the “T-Wing Tongue” in Pebax® that keeps a good elasticity even at low temperatures.